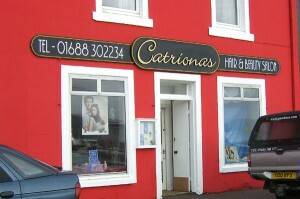 Catriona’s Hair and Beauty Salon is situated at the end of the town next to the Mishnish Hotel overlooking Tobermory Bay. The salon provides a full range of hairdressing and health & beauty treatments in a calming atmosphere. Why not come and be pampered? Re-Styling and large range of beauty treatments available.